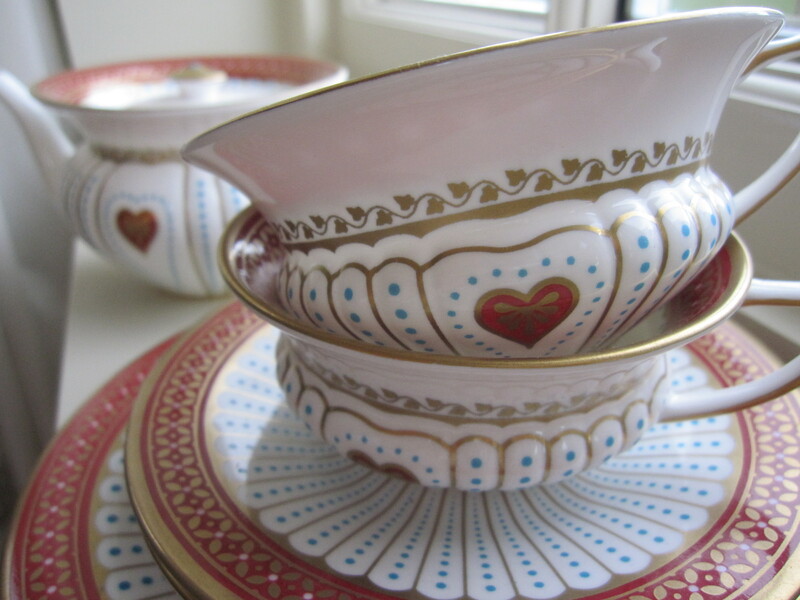 Dust off your Queen of Hearts china Wedgwood tea cups, my dears, for valentine’s day is fast approaching and I have a hypothesis, a theory if you will, that I wish to share. So are you sitting comfortably, tea cup in hand? Then I will begin. The theory is this – that at some level everyone needs, needs mind you, to love and rather importantly to be loved in return. Without this, there is the decided feeling of something missing, an imperceptible but none the less an irrevocable gap, at least we fear it could be irrevocable, that missing piece that makes us tic, makes us whole. I speak here beyond the realms of romantic love to include the love of a parent, sibling or friend. I also put this hypothesis to you – that we fear love and loving also for it can make us vulnerable, dependant and very malleable. What, I hear you ask, is the answer to this difficult dilemma? To build a solid wall between you and everyone else, keep a safe distance and frankly my dears, hope for the best by keeping yourself to yourself? Or to risk the experience, to feel the feeling of adoring someone who you would willingly lay down your very life and soul for? Of course, this choice is yours. For what its worth, I choose to take the latter path – always – for however wonderful, and however woeful, never to love is never to live.